This weekend went by entirely too quickly, but we had a really nice one. The best part? A wedding! A girlfriend of mine got married in Columbia, SC on Saturday evening ... the perfect excuse to get down to my hometown and see my family. 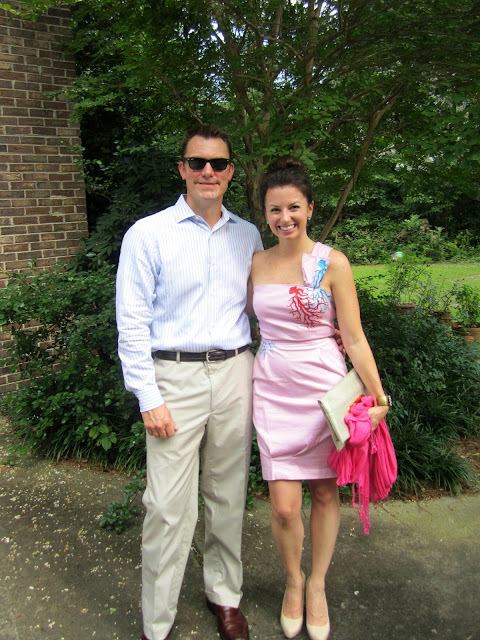 Before we left for the church, my dad snapped a photo of us. Wearing my hair up was essential in Columbia's heat! 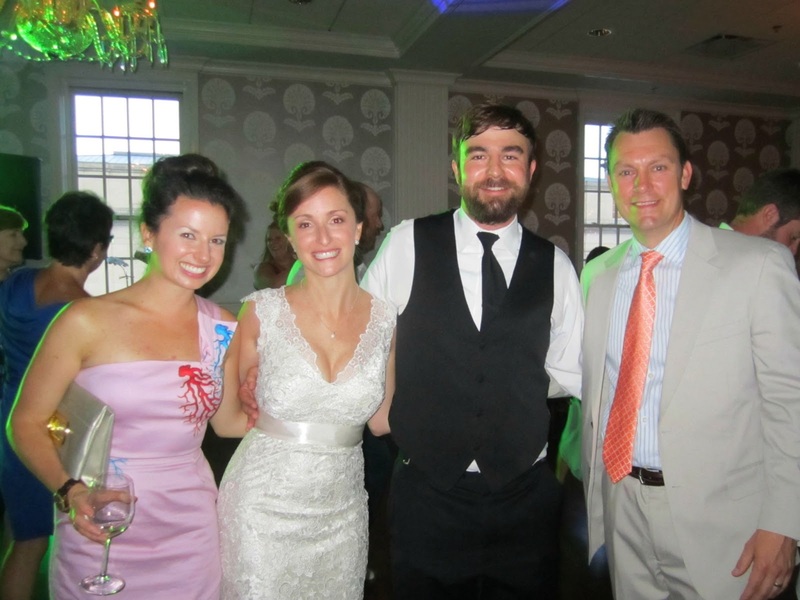 My friend Amy looked just stunning in her vintage-inspired lace gown. Her bridesmaids wore navy chiffon gowns with an empire waist which came in handy ... two out of the three are quite pregnant! The reception was at The Palmetto Club, which had the most amazing metallic wallpaper that you can see below. I think it almost sold Ian on the idea of wallpaper! The bride and groom had Shutterbooth at the reception, and I was so glad to see them again -- I used that very same photobooth company for our wedding reception and was so pleased with them. We have two more weddings to attend this year, and I already can't wait for those weekends. There's no denying it -- I'm wedding obsessed, and I love to see two lovebirds tie the knot! PS - Friday's pillow link didn't seem to work. The pillows I got are the ivory version of this one. Finally, that link will work -- you can also view their other outdoor pillows. Most are now $12.49 ... you can also use coupon code WM2030 until July 28th to get $10 off your $30 purchase. I'm ordering a few more pillows now ... the mermaid one is definitely going in my cart! 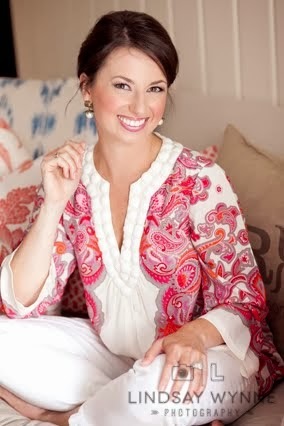 Heads up ... Trina Turk on Rue La La this Thursday! Need a free invitation to join? Click here. Tell us more about your dress! I simply love it!!! Your dress is gorgeous! We have no weddings on the calendar until next May! We're old and all of our friends are hitched already. 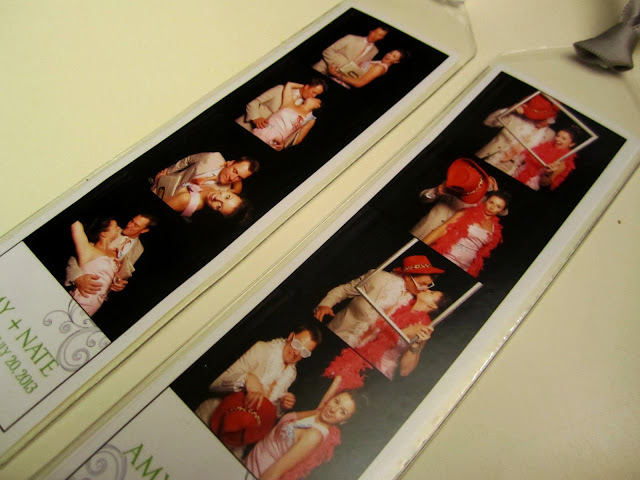 I adore photo booths at weddings! Pretty dress! I love wedding weekends! THAT DRESS! WHOA, you looked amazing. That last picture of you and Ian in the photobooth is so freaking cute!! love your dress!!! photo booths at weddings are so much fun! Love shutter booths at weddings! Your pictures turned out oh so adorable! Last year I had about 6 weddings. This year only 2! Both in Maui and 3 weeks apart. Can't complain but I agree love going to weddings! And I've been leaving comments from my Blog Lovin' app on my phone and it doesn't work! So if my comments haven't shown up it was the stupid apps fault! Loving that dress of yours! Great color on you! It looks like such a fun wedding! I love your dress! Love that photo of you two before the wedding! That shade of pink is hard to find, I love it on you!